Our Role | LEED Advisor: We were engaged at end of construction to shepherd the project through the LEED certification process. 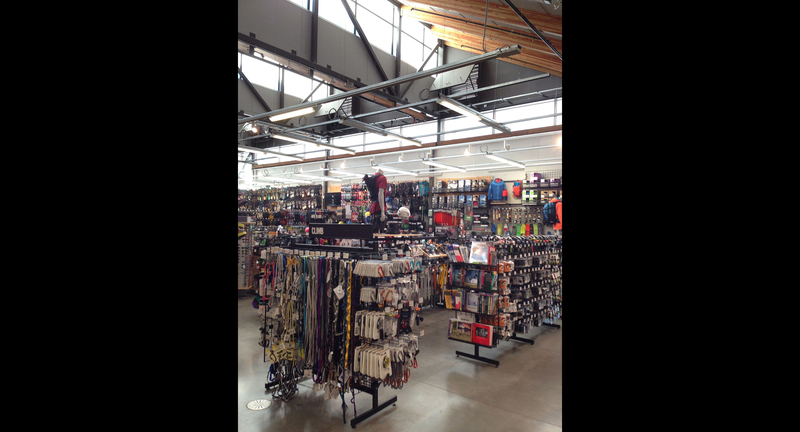 Mountain Equipment Co-op (MEC) North Vancouver is located at 212 Brooksbank Avenue. The site is situated at a major access point to the City of North Vancouver, at a significant juncture of the Spirit Trail and on the edge of a public park and river ecosystem. Therefore, the special context in which this project is situated demands a sensitive and thoughtful response. MEC has demonstrated a commitment to minimizing its impact on the environment in every community in which it operates. MEC views the proposed development on Brooksbank Avenue as a material demonstration of how the Co-op can move towards a more sustainable future. MEC’s proposed enhancement of Lynmouth Park and opening up the site and Spirit Trail to the park will revitalise the street interface and park amenity. The improvements to the park will permit all community members access to an engaging park experience. MEC’s commitment will include facilitating and enabling long-term stewardship of the park. To those ends, the proposal includes a commitment to establish a partnership with a local environmental organization. initial employment opportunities for 75 people, or 60 full-time equivalent jobs, at above-average retail wages. This number is expected to increase based on projected first-year sales. MEC’s decisions and objectives around green building are informed by a number of sources. First, MEC exists to get people into wild places and enhance their well-being through experiences in nature. As such it has an intrinsic interest in preserving those places and values whether they are found in the back-country, front-country or an urban park. MEC’s green building objectives are motivated by a desire to reduce the Co-op’s impact on the environment, and are informed by standards such as LEED and more recently the Living Building Challenge. Typically, MEC seeks third-party validation of its projects. MEC has won more than 25 national and international awards for its green building achievements, including Canada’s Energy Efficiency Award, an ASHRAE Technology Award and a Contech Trophy for Sustainable Development. MEC’s Ottawa store was the first retail building to earn the Canadian Government C-2000 Rating. The Co-op has been named one of the Top 40 Socially Conscious Designers by International Design Magazine. MEC also continues to decrease its environmental footprint. In 2010, MEC reduced its greenhouse gas (GHG) emissions from all facilities to just under 600 tonnes (0.8 tonnes GHG emissions per 1000 square feet), surpassing its 20% emission reduction target (against a 2007 baseline). For the proposed Brooksbank development, MEC plans to certify the project under the CaGBC LEED program. MEC looks forward to creating a unique and innovative development that will provide an opportunity to enter international awards and bring recognition to the City of North Vancouver’s commitment to urban sustainability.